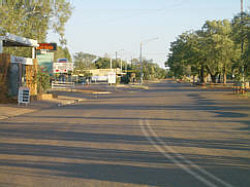 Elliott, 252km’s to the north of Tennant Creek is the second largest town in the Barkly Region with a population of around 600 people. Originally No. 8 bore of Newcastle Waters, the site is at the junction of 3 major stock routes, the ‘North-South, the ‘Murranji’ and the ‘Barkly’. With the assistance of the local Jingili Aboriginal people, Elliott became a township with the arrival of a sizable WWII camp servicing troop movements up and down the ‘Track’ supplying Darwin. Today, Elliott offers travellers a place to break their journey, with two caravan parks and a Hotel. Check out the pub or play a round of golf to stretch your legs.